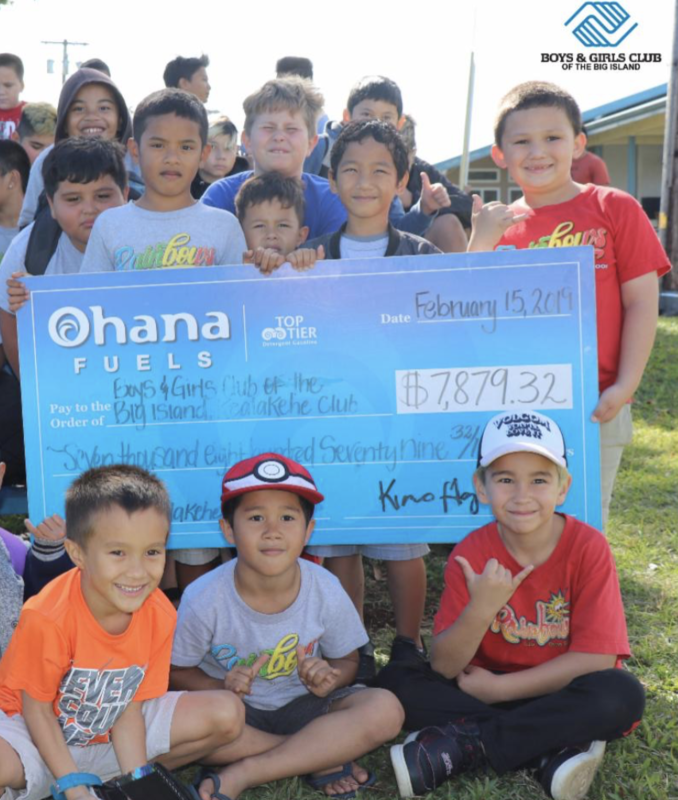 Boys & Girls Club of the Big Island (BGCBI) reports that as the 2018 fourth quarter beneficiary of Ohana Fuels’ “Fuel Up. Do Good.” Program, it received a donation in the amount of $7,879.32. 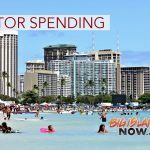 Ohana Fuels partners with nonprofit organizations serving the local community and donates a portion of the proceeds from every gallon of gasoline purchased at its stations in that community. 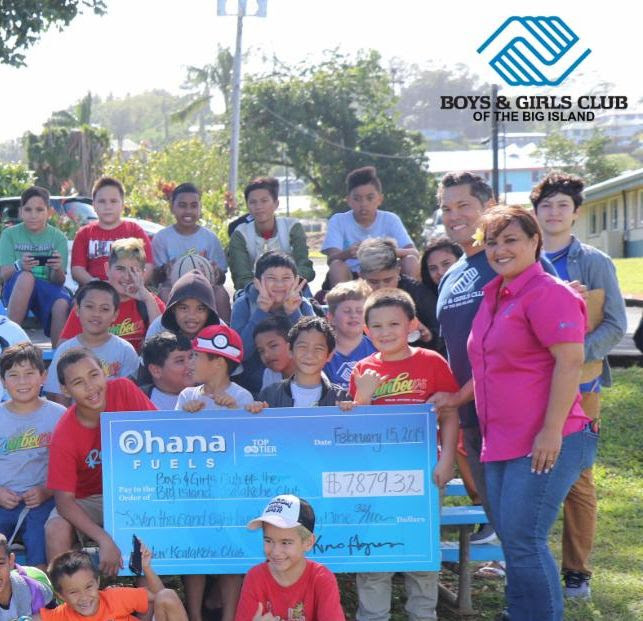 Boys & Girls Club of the Big Island’s Kealakehe Club benefits from Ohana Fuels $7,879.32 donation on Feb. 15, 2019. Courtesy photo. 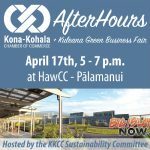 For more information go online.